Gyptian's "Nah Let Go" Debuts on BET's 106 & Park on Thursday, September 16, 2010 as the coveted "New Joint". 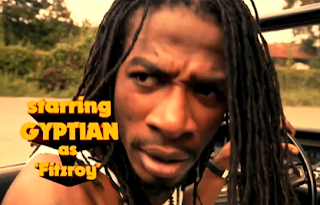 The video was shot in Gyptian’s homeland of Jamaica, and depicts Gyptian on a rendezvous with his lady love, while lush landscapes of the island countryside provide the perfect backdrop. It was shot by famed Jamaican film and music video director, Rass Kassa.